"In this Outrageous Burst of All Right? 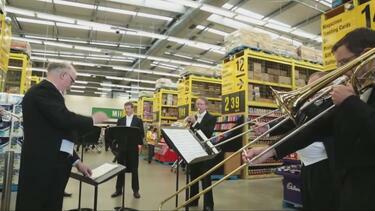 shoppers at Pak 'n Save Wainoni experienced an impromptu concert from the Christchurch Symphony Orchestra (CSO). 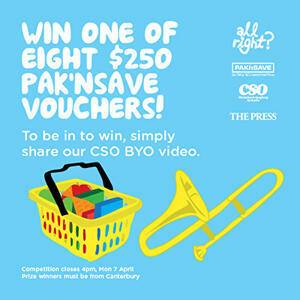 As part of sharing the love shoppers also received grocery vouchers donated by Pak 'n Save. Outrageous Bursts of All Right? are designed to share a little love and bring smiles to Cantabrians as the region's recovery progresses. All Right? manager Sue Turner says that there are a lot of things about the recovery that cause frustration and stress.